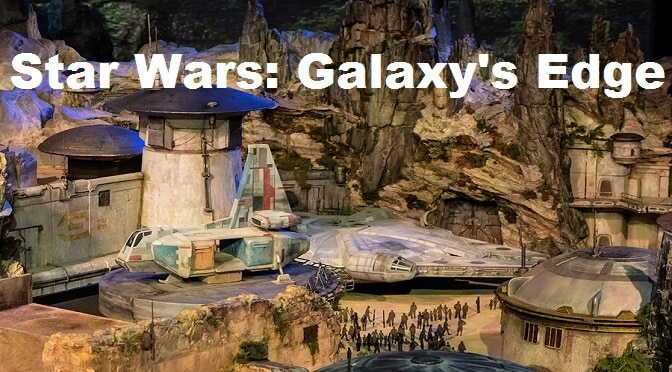 Galaxy’s Edge, which is set on the planet of Batuu at the Black Spire Outpost is the largest expansion in Disney theme park history. It will include two new rides in Millienium Falcon: Smuggler’s Run and Rise of the Resistance. It will offer unparalleled shopping and dining experiences which will not be offered anywhere else in the world. The Disneyland location will offer its official Grand Opening on May 31, 2019. The Walt Disney World location at Disney’s Hollywood Studios will offer its official Grand Opening on August 29, 2019. Book your stay NOW with us at Mouse Class Travel! All quotes are free of charge. Rooms around the time of the Grand Openings are sure to fill up quickly. Arrghh! We picked Sept. for low crowdsand to avoid this opening! It was supposed to be late 2019! What happened?! Kenny do you plan on updating the crowd calendars to reflect the opening of this by chance? We are going the week of Sept. 16th. I’m a bit worried this will raise crowd levels. Going in September because my husband hates crowds. Exciting, but I was hoping for low crowds when my daughter and I visit Labor Day Week. I figured we could deal with the heat if the crowds were low. We are planing a March 2020 visit, so I thought we’d see it then. We going the 22nd – 31st…..what do you think this will do to the crowd levels for the week? I don’t plan on going to HS our last three days so it doesn’t mess up our schedule but wondering what the other parks are going to be like. I don’t know if I should be excited or angry about our upcoming October trip. While seeing Galaxy edge in October trip vs our trip next year is exciting, Im a bit nervous about the crowds now overall for all parks. I’m nervous, too! We’re supposed to fly down August 31st!! Ditto. We’re going in October, too. I know it’s going to be really crowded! I’m also going in Oct. and am not sure what to expect. I want to see it and kind of hope both rides are open by then. Curious if it will be included in the after hours special ticket – I was planning to do that for HS anyway since it’s usually a 1/2 day park for us and we love Slinky Dog. If they put that in the after hours pass it will not be worth getting. They will oversell it and everyone will buy it. Will you be adjusting your crowd calendars? Uh-oh, we are going September 17th and I was hoping to miss that huge Star Wars crowd. Do you think it will still be crazy September 17th?